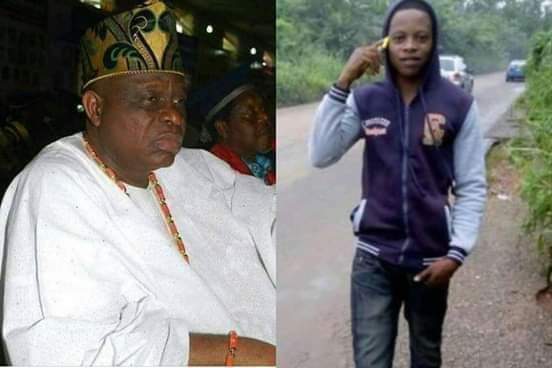 Chief Ope Badamosi, Chairman of Credit Switch Technology, has been murdered. He was found dead on Wednesday in his home on Onikoyi Lane, Parkview Estate, in Lagos. The deceased suffered multiple wounds believed to have been carried out by his cook employed just three days earlier. The Divisional Police Officer (DPO) of Ikoyi Division, Ikoyi-Lagos, SP Mustapha Tijani, confirmed the incident. â€œRight now, efforts have been intensified towards tracking down the cook who is at large,â€ he told Thisday. Meanwhile, the Police has declared the suspect wanted. The Homicide section of the Lagos Police Command has also put out a be-on-the-lookout alert on him. Narrating the incidenrt, one of the familyâ€™s neighbour told the newspaper: â€œI heard a scream from the wife, so I ran outside to their flat and saw her screaming outside with people holding her as she said that her husband had been murdered. â€œWhen we got inside, we saw the man in a pool of blood with the volume of music increased to the highest level. Already we had called the attention of the estate police. â€œAccording to the wife, she said she left her husband very early this morning to do some transactions in the bank. On her way back, she called her husband and couldnâ€™t hear what he was saying as his words were barely cohesive, and was just muttering words before the call dropped. â€œShe attempted to call him back but he wasnâ€™t picking up his phone. On getting home, the security was still asleep and couldnâ€™t even respond to her car horns till she got down from her car, to bang on the securityâ€™s window. â€œBut unfortunately, on entering, she met her husband lying in a pool of his own blood and couldnâ€™t find the cook who just resumed work on Sunday anywhere. â€œThat was when she screamed out for help and sent the security to help her run to see if he can still apprehend the cook. Perhaps because of fear, the security who was just employed on Sunday as well also took to his heels upon the news that his new boss had been murderedâ€. A Homicide Investigation Team officer on anonymity said preliminary investigation showed the cook committed the act. â€œAfter committing the act, the guy went to the toilet and pulled off the white uniform meant for cooks he was wearing because it was all stained with blood. He also left the knife he used inside the toilet there. If you see the knife, itâ€™s a very strong, long and sharp knife that could only be authorised for military personnel. â€œAfterwards, he ransacked the whole apartment and carted away all valuables he could lay his hands on including an unaccountable sum of money, pieces of jewellery and the deceased phone. â€œWhat baffles us more is that no one seems to know anything about him because he was only employed a few days ago and brought from Ondo state to resume just this last Sunday. And they only know him by his first name, which is Sunday.